Elegant and refined - like a lavish trip to a cosmopolitan city - this strain of marijuana is the top choice of many of our growers. It is also desirable due to its high medical value. This Indica-dominant marijuana plant is the daughter that resulted from the marriage between Northern Lights and a very vigorous Canadian Ruderalis. Autoflowering and compact, it is ideal for discrete growers. Reaching a height of less than one meter, it gives impressive results. Taste: Its smoke is sweet like vanilla candy. Its aroma is sensational - relaxing and a tonic for your well-being. It's a real aromatherapy machine that is especially useful for bodily pain. Effect: This variety is like a portable dispensary. It helps to relax muscles and relieves muscle aches, calms nerves, prevents migraines, insomnia, spasms, and all manner of pain. It's like having a personal anesthesiologist at home. Effecting both the mind and body but providing a healthy dose of variability, it can be a different experience for everyone. 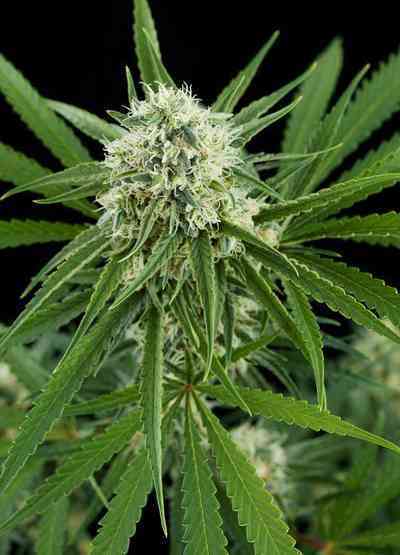 Its cerebral high and relaxing effects on the body are long in duration, lasting about two hours. The mood that you happen to be in at the time can induce different types of highs, such as the kind that leaves you sitting on the couch, while other times you'll find that Northern Express helps you win the battle against a hectic day of stress, increasing your ability to see the positive side of life. We could say that its effects are a full catalog of experiences. Growing: Her blue and purple tones make her very attractive for weeks during flowering, and she'll be ready for harvest in record time: 50 to 56 days. In this brief flowering phase, it can produce more than 250 grams per plant (9 oz) - this is accomplished just nine weeks from germination. 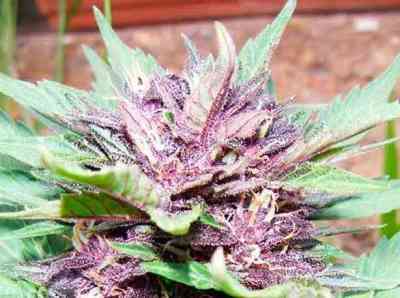 The plant grows easily and rewards the grower when given additional care and hours of light. Indoors, growers will be pleasantly surprised with their results when utilizing 18/6 photoperiods. Some growers have described Northern Express as a green rocket, due to its wonderfully bushy, compact form that's full of buds, and because its growth rate is set to warp speed. Its resinous and compact buds boast 18% THC and 1.4% CBD, making this an ideal medical strain.